July 2017 – BOLD LEADERSHIP — A New Competency for the Future! Capability refers to the combination of skills, tools, and experience that a person needs in order to successfully perform her job. When any of these factors are missing, there is an increased chance that the employee will underperform. It isn’t uncommon for hiring professionals to overlook these basic factors, especially if a candidate has solid academic credentials and comes across as intelligent and confident in a job interview. Furthermore, it’s no secret that most candidates exaggerate their abilities on their resumes and job applications. Do you know what skills are needed to perform the job, and whether the employee possesses those skills? If she doesn’t possess the necessary skills, how will you help her acquire them, and how long do you expect that process to take? Skills training takes time and money, and results are never guaranteed unless there is adequate commitment from both the manager and the employee. It’s in everyone’s best interests for the manager to set appropriate expectations for the employee from the beginning. This is especially true if the job requires special technical capabilities. Even if an individual has the skills and experience to do the job, does she have the tools to deliver peak performance? For example, a highly skilled and experienced web designer can’t build a website without adequate computer hardware and software. The tools don’t have to be the most up-to-date, but a system that crashes frequently can be incredibly frustrating and unproductive, even to the best performer. Just because an employee has the skills to do a job doesn’t mean that she has the experience to apply those skills in her specific position. This is especially true for recent graduates, outside hires from different industries, and internal hires from different departments. 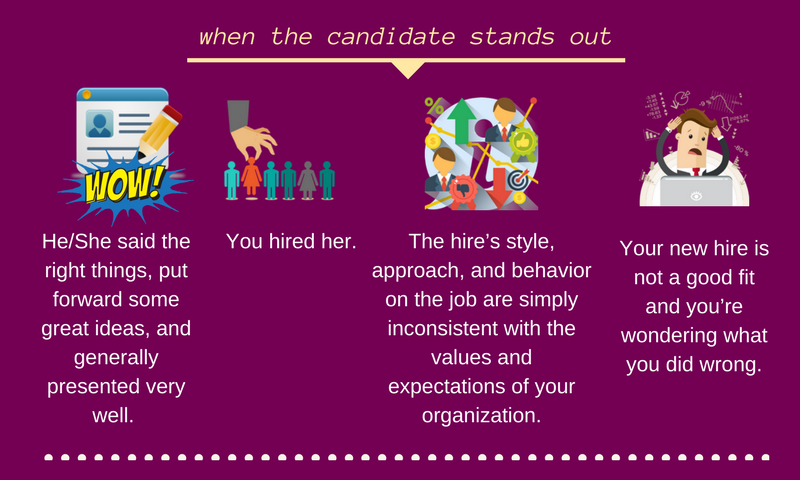 While the required skills may be similar from one job to the next, differing applications and terminology may require that the new hire take time to learn the nuances of her new position. “Fit” reflects the behaviors and interests needed to succeed in a job. Many people fall into the trap of choosing a profession or job that is a bad fit. You probably know a medical doctor who trained at a prestigious school and worked for several years at a modern hospital. Despite adequate skills, tools, and experience, he is aloof, insensitive, and has a terrible bedside manner, and you only see him if no one else is available. In short, he really doesn’t possess the innate compassion that would make him a great doctor. He is a poor fit for his job. Skills can be taught, but behaviors are much more difficult to change. A doctor can improve his bedside manner through training and mentoring, but it takes tremendous effort and motivation to change natural behavior. If an individual isn’t motivated to change, then he probably won’t. It is important to understand a person’s innate behaviors and interests when trying to match him with the right job. Know the job, know what type of person is successful in that job, and then hire others who have the behavioral traits that fit that job. This is easier said than done, because it is difficult to gauge behaviors in an interview, but behavioral assessments can be extremely helpful. The ProfileXT® assessment is used primarily as a “job-matching” tool to provide managers with interview tips and select people with the highest probability of success in the job. It measures the individual against the specific qualities needed to perform the job by providing objective insight into the individual’s thinking and reasoning style, relevant behavioral traits, and occupational interests.